I’ve got team jorts as a ‘buy’ for 2015. Let me explain myself. Will Muschamp, for all of his accolades as a defensive coach, lived up to that billing precisely: he was a great defensive coach in his time at Florida, never allowing more than 21.1 points per game in his ill-fated four-year tenure. Obviously, his downfall was offense even more punchless than Florida’s opponents over his time in the Swamp. The numbers are appalling. Tim Tebow’s last year saw the Gators go for 458 yards a game. 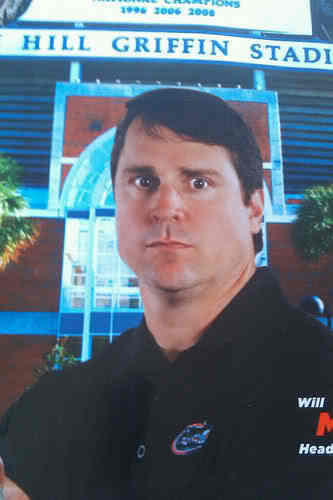 Muschamp’s best went for 368 (last year, as it turns out), but was preceded by 317, 334, and 329. May your defense at Auburn fail as badly as your offense at Florida, sweet prince. Enter Jim McIlwain, former Alabama OC. After a one-year incubation period, his teams at Colorado State averaged 476 yards per game in his final two years. The way he did it is what makes him scary, because it’s so damn simple: he got the ball to his playmakers and rode them like hell. – 2013: A running back named Kapri Bibbs toted the ball 281 times for 1721 yards and 31 (!!!) touchdowns. Though they only finished 8-6, they did show up well against Alabama and Boise State that year. – 2014: With Bibbs gone, Dee Hart netted 1275 yards and 16 touchdowns. But a receiver by the name of Rashard Higgins took over the offense and earned first-team All-America honors with the following numbers: 96 receptions, 1750 yards, 17 TD. If so, a competent offense paired with a dominant defense could spell trouble for the SEC East in year 1. We had one last chance to get a good laugh at Coach Boom’s expense. A triple-OT home win against Kentucky and a 10-9 thriller at Tennessee were laughable on the W side, but the Cocktail Party abomination still gives me nightmares. Fact is, the Gators could’ve just been a year away from Kurt Roper and decent QB play turning the Muschamp era back into what it was in 2012, when they cruised to an 11-1 regular season and were stopped just short of a national title appearance. Digging deeper into that, none of their losses were inexplicable. 30-27 against LSU on a last-second score. A Mizzou game in which they allowed 119 yards and turnovers caused a 29-point loss. Three point OT loss against South Carolina. Five point loss at Florida State. With some offensive tweaks, you could squint and see a 10-2 team in blue and orange (still a gross color combination) in 2014. For this year’s Gators, it’s about getting out of the gates quickly. Let’s assume they’re good enough to edge Kentucky and beat Tennessee for the 11th straight year for purposes of this exercise. Oct. 3, Ole Miss: If they’re 4-0 (2-0) coming into this, they’ll already be ranked. The Swamp will be electric for the ESPN 7:00 kickoff (not CBS because of the matter of Alabama/Georgia). Two teams that struggled on offense last year, and one that four games into a new system should be much improved. Oct 10, at Missouri: Pretty much the same formula as Ole Miss, except I’m down on Missouri this year. This would give them a good chance at a clean sweep of the SEC East, as (game 3), Vandy, and at South Carolina follow. Oct. 31, Georgia: Three years into legitimate Georgia following, and I have come to the realization that weird things will happen here. Jarvis Jones takeover? Check. Their closest loss on a 7-game losing streak to end 2013? Check. Rush for 418 yards and attempt 6 passes in a dominating win? Check, in the ‘reverse Georgia Southern’ sense. This game, to me, decides the East champion. And it’s a year earlier than I want to be saying that. – WR Demarcus Robinson: Suspect A in ‘ride him til the wheels fall off’ McIlwain style. 810 yards and 7 TD’s with Jeff Driskel and a true freshman Treon Harris throwing him the ball last year is damn respectable. – RB Kelvin Taylor: Fred’s son is the second suspect, because I can’t unsee what he did to the Dawgs last year. – DE/DT Jonathan Bullard: One of about three 2016 first-rounders I see on the defense, he put together his first fully healthy campaign last year. The results? 12 hurries, 2.5 sacks, and 52 tackles. Playing next to Dante Fowler may have inflated those numbers, but Bullard could’ve been a 1st-rounder last year. – LB Antonio Morrison: I swear this guy has been there since Steve Spurrier was coach, but here he still stands. A true sideline-to-sideline Mike, I recall him all over the field in Georgia’s 17-9 win as a true freshman. – CB Vernon Hargreaves III: I mean, just the best. His numbers will be deflated by teams avoiding him, but that means teams have to throw at the consensus ‘best defensive backfield in the nation’, including returning starters/upperclassmen Brian Poole, Keanu Neal, and Marcus Maye. I will GLADLY come back and eat crow for this post. I would love to. But…I’m afraid Florida is poised to turn it around. Posted on August 5, 2015, in 2015 College Football Previews, Florida Gators, Georgia Bulldogs, Missouri, Ole Miss, SEC, South Carolina Gamecocks, Tennessee, Vanderbilt. Bookmark the permalink. 1 Comment.